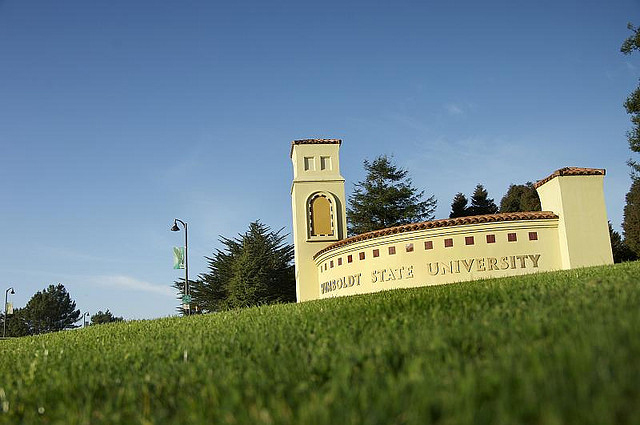 Humboldt State University is named again a “Best in the West College” in the online guide “2014 Best Colleges: Region by Region” produced by the Princeton Review, a privately held education services company headquartered in Framingham, Massachusetts. HSU has been named a “Best-in-the-West” school since 2006-2007. The Arcata campus is among 124 institutions listed from 15 states, ranging from Alaska, Hawaii and Oklahoma to California, New Mexico and Texas. Only schools that agree to the review’s independent survey of their students are eligible to be rated in the company’s region-by-region breakdown across the U.S.
“Best” ratings are based as well on school visits, institutional data, information from college counselors and advisors and Princeton Review staff recommendations. The new online “2014 Best Colleges: Region by Region” asked students at their respective campuses to evaluate such factors as the accessibility of their professors. Medium-sized Humboldt State has a low student-teacher ratio of 23-1, versus class sizes at large institutions running to hundreds of undergraduates. The 2014 guide is posted in full at princetonreview.com.